Today is the Winter Solstice and I thought I'd share a little bit of magical history, which is also my own family history. 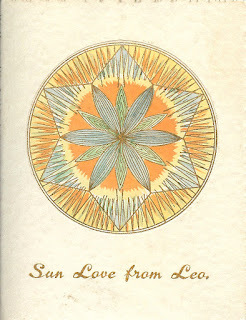 This sun mandala was drawn by the father of modern astrology, Alan Leo, and given as a Yuletide gift to my grandmother, who was his secretary, many years ago. The card you can see photographed has a little loop at the top to hang it by. A mark at the back suggests it once had a small calendar stuck to it, which would have hung at the bottom. It is a shame the calendar is no longer there as that would have shown what year it was given. Also on the back, in Alan's handwriting, are the words: "Look at this every day." 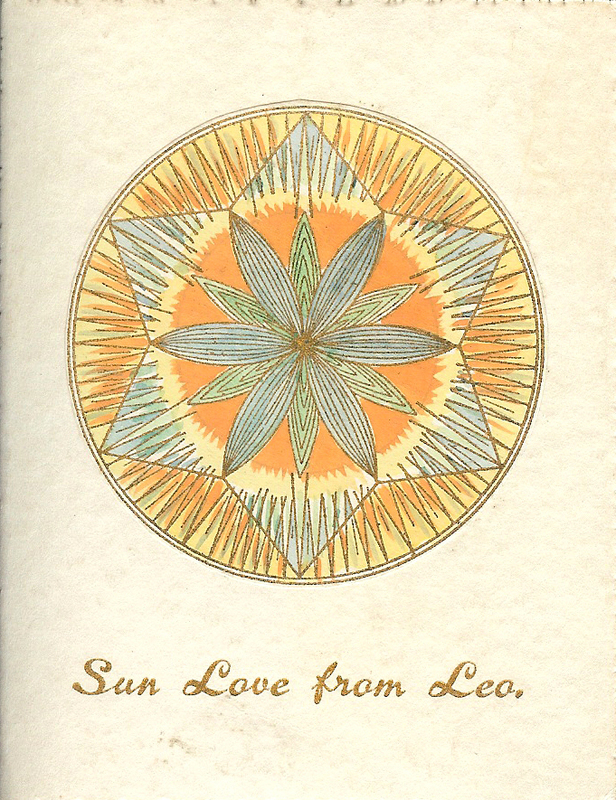 The mandala is sunny and cheerful and I wanted to share its message of love so others can look at it on the shortest day of the year. I wish all of my readers a very happy solstice and winter festivities that are full of cheer!